Home Buyers: What Are You Waiting For? Shift in median prices and low interest rates make for great home buying opportunities in the Santa Clarita Valley. Buying a home is a big decision…Probably one of the biggest decisions you’ll make in your lifetime. We can again go over the reasons why Now is a great time to buy a homeowning a home is one of the best investments you can make, but we know that for some of you, it’s all about timing. 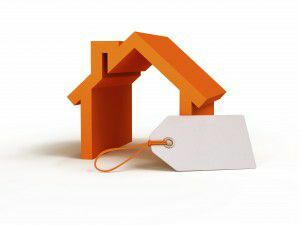 Here are some home buyer objections, and how we can help you overcome them. I want to wait until prices drop. Let’s put this in perspective. You’re purchasing not only a place to live, but you’re also making an investment; an investment that you’re hoping will rise in value and add to your overall net worth. While it’s always great to find a deal, you must consider your overall goals and reasons for buying. Are you in for the short term, or the long term? Is this your first home? If so, what is your plan for “moving up?” Do you have a timeline? What about purchasing a home for the long term? Are you planning on remaining in the home for the rest of your life? Remember, value pertains not only to the here and now, but for the long term as well. I’m hoping interest rates will drop. Good point, but interest rates are still incredibly low (Holding in the low 4% range as of this date). The historic average (Since 1970) ranges in the mid 7’s, so you’re already doing pretty good! Think about this: While waiting for interest rates to drop, you’re also giving home prices the opportunity to rise, thus compromising any potential purchasing power you’re hoping to gain. I have less than stellar credit. Did you know there are loan options available for buyers with “less than gold” credit. Even if your FICO score is under 700, there may be programs out there for you. You’ll never know how much you can qualify for until you ask. We’re here to answer all of your home buying questions. Contact Montemayor and Associates with all of your home buyer questions, and we’ll help you realize all of your real estate goals. Call us at either of the numbers listed at the top of this page, or by using the Quick Response form below.